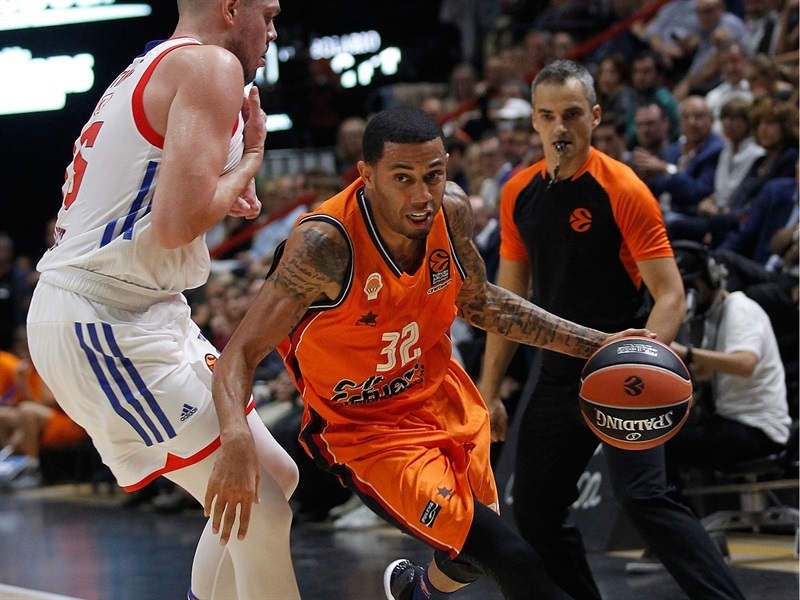 Valencia Basket registered its first win in the 2016-17 Turkish Airlines EuroLeague Regular Season by downing Anadolu Efes Istanbul 78-71 at home on Friday. 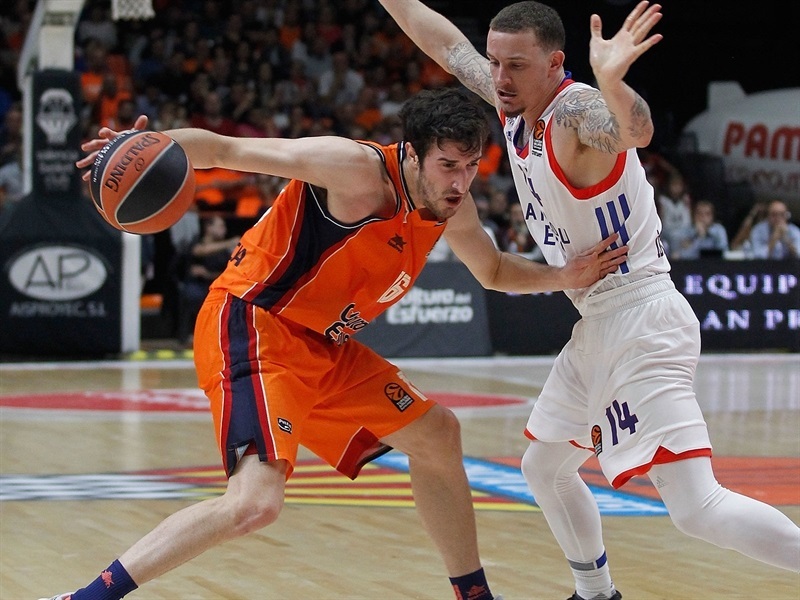 Valencia improved to 1-1 in the standings while Efes dropped to 0-2. Erick Green paced the winners with 24 points. 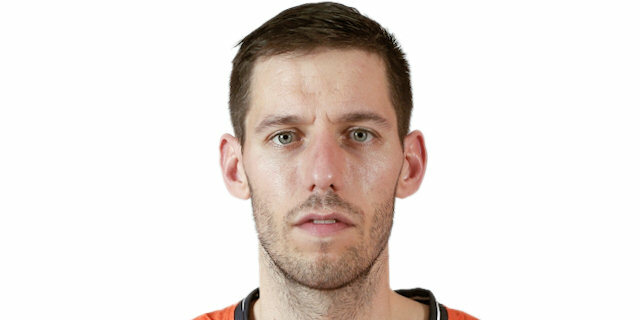 Joan Sastre added 15 – 12 of them in a game-breaking third quarter – while Bojan Dubljevic had 9 and 10 rebounds for Valencia. 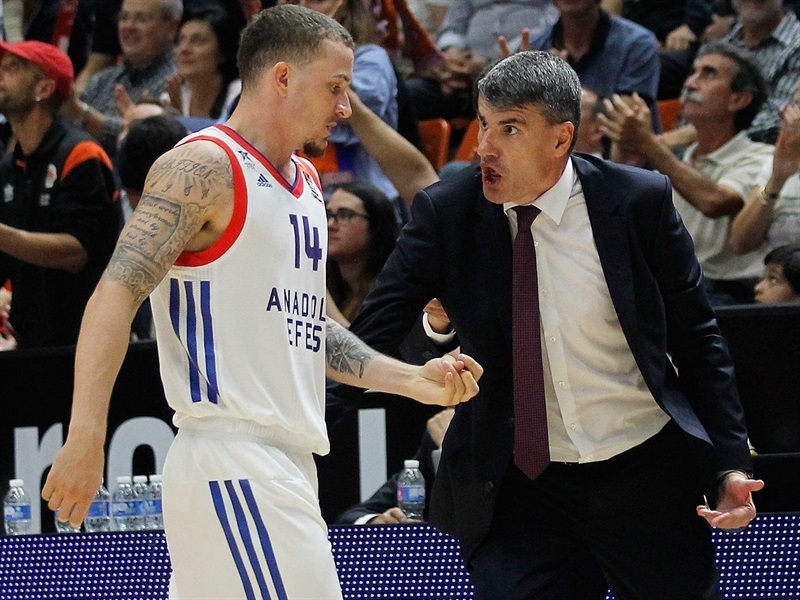 Vladimir Stimac led Efes with a career-high 22 points. Errick McCollum added 20 while Edo Muric had 11 for the guests. Dubljevic and Green combined for 15 points in the opening 7 minutes, allowing Valencia to make it a double-digit game, 17-6. 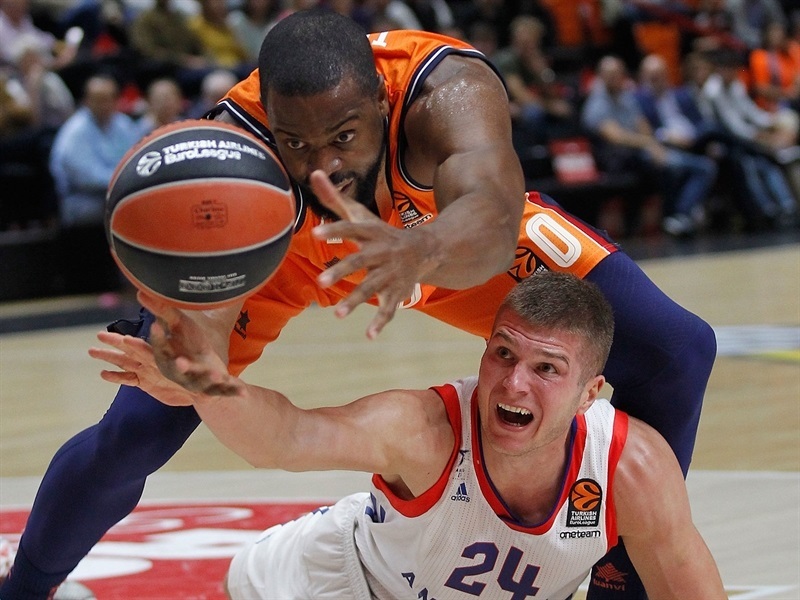 Efes got within 19-10 after 10 minutes but Valencia bounced back to make it a 13-point game, 28-15, soon after that. Stimac and McCollum combined for 23 points in the second quarter, letting Efes tie 38-38 at halftime. 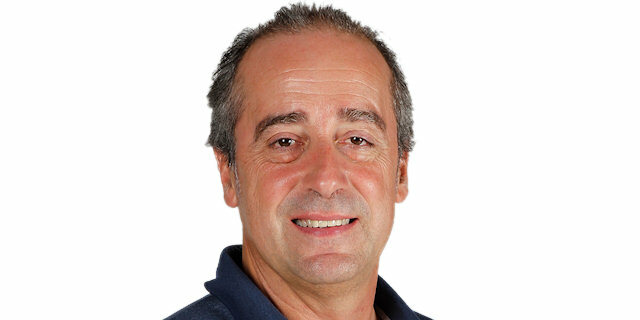 Valencia found a new go-to guy in Sastre, who took over after the break to keep Valencia in charge, 49-42. Green hit a couple of triples in a 12-0 run that broke the game open, 66-46, late in the third quarter, enough for Valencia to put the victory on ice. Dubljevic got Valencia going with free throws and a second-chance jump hook which Green followed with a three-pointer for a 9-4 lead. Muric sank a jumper but Green and Dubljevic combined for all points in an 8-0 run that made it a double-digit game, 17-6. Stimac scored inside and Brock Motum followed a reverse layup with a triple to get Efes within 19-13 after 10 minutes. 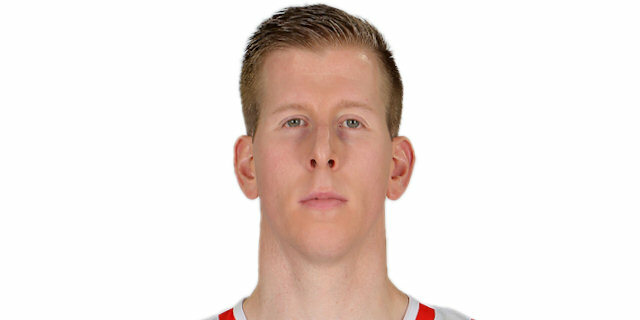 Consecutive three-pointers by Sam Van Rossom, Aaron Doornekamp and Sastre boosted Valencia's lead to 28-15 early in the second quarter. 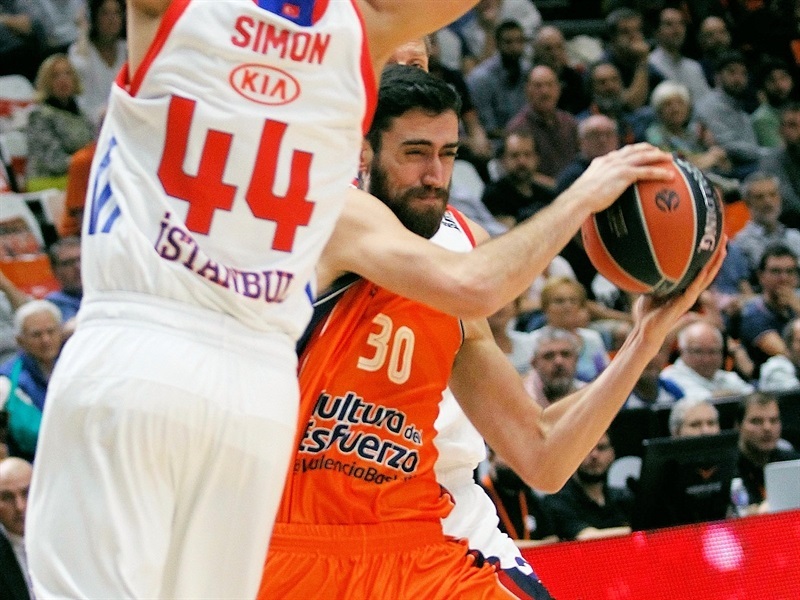 Stimac kept pacing Efes with consecutive baskets and McCollum added 7 quick points to get Efes as close as 33-28. Stimac stayed unstoppable in the paint and McCollum followed free throws with a buzzer-beating layup to tie the game, 38-38, at halftime. A jumper by McCollum gave Efes its first lead, 38-40, right after the break. 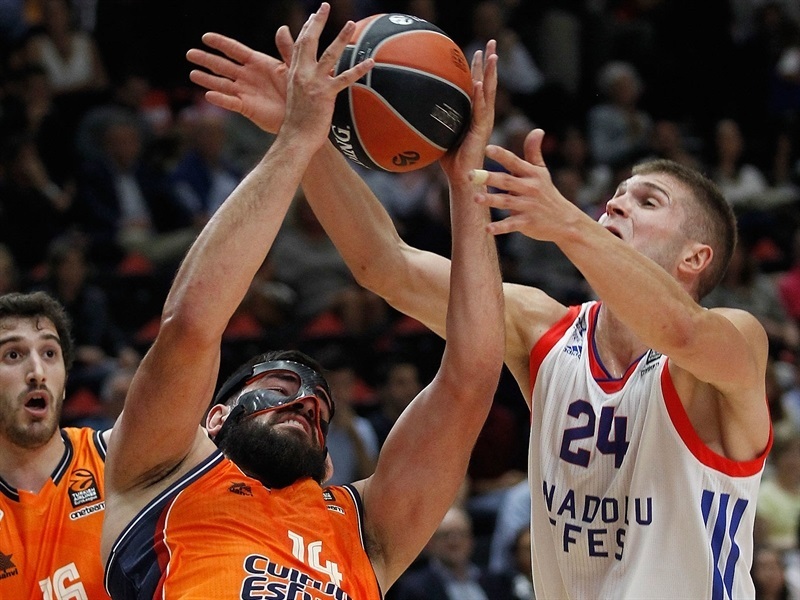 Sastre had a dunk and a triple in a 7-0 Valencia run and Doornekamp also struck from downtown to make Efes stop the game at 49-42. An unstoppable Sastre stayed on fire with a three-pointer, a layup and another slam which ignited a 12-0 run in which Green struck twice from downtown to break the game open, 66-48, after 30 minutes. 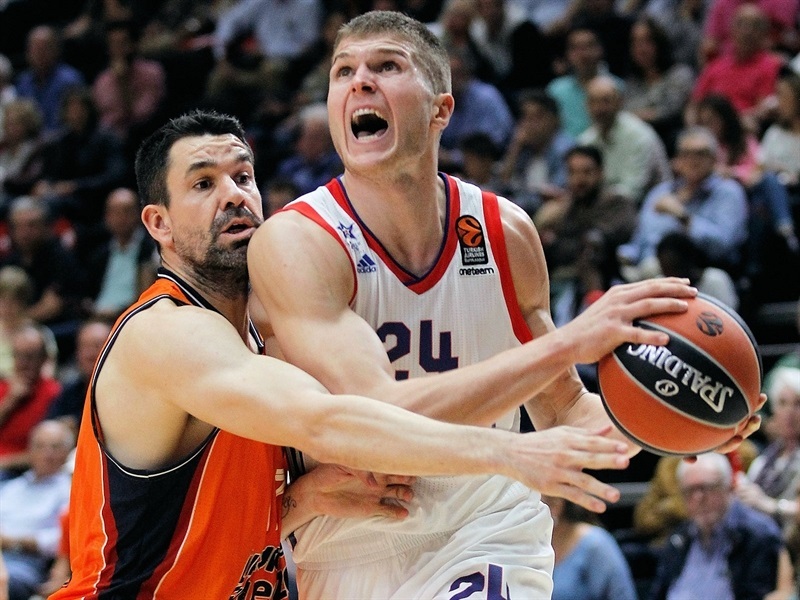 Muric and Doellman gave Efes hope, 71-60, midway through the fourth quarter. 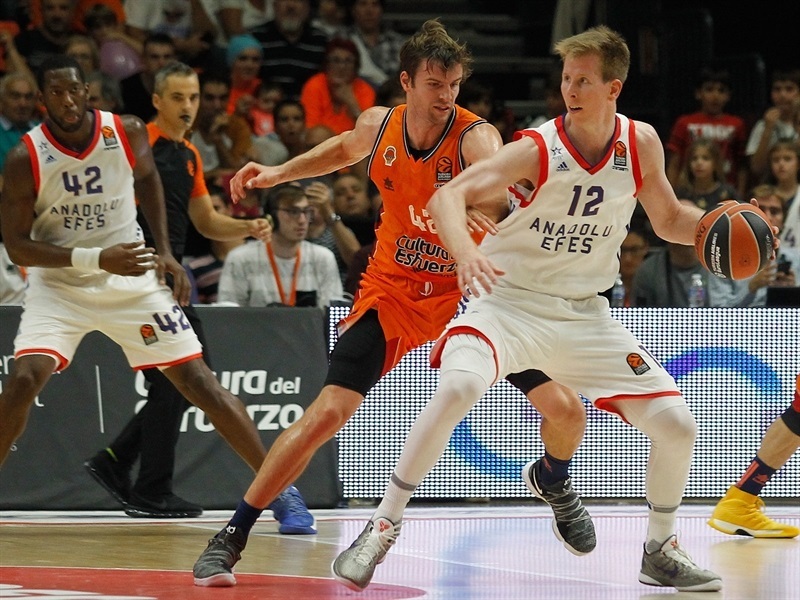 Tibor Pleiss and Green stepped up, making sure Valencia kept a safe margin all the way until the final buzzer. Both teams return to action on Wednesday. 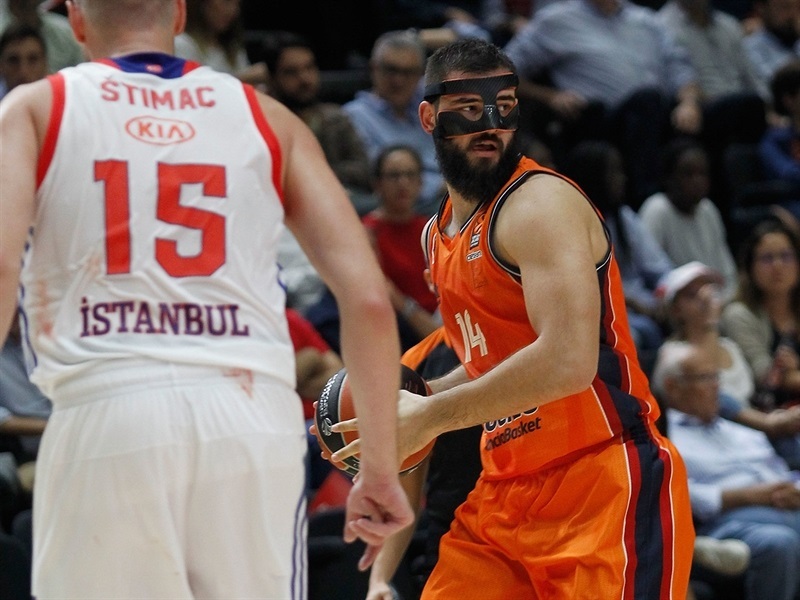 Efes visits cross-town rivals Fenerbahce Dogus Istanbul while Valencia also plays on the road against Baskonia Vitoria Gasteiz. "It was a tough game. We started really well and did a very good job, offensively and defensively, in the first quarter, especially in the first six minutes. But finally, at the end of the first quarter, we only had a six-point difference. 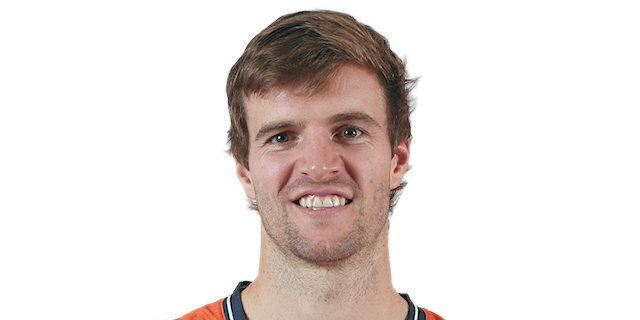 We had foul problems in the second quarter, when Bojan Dubljevic and Tibor Pleiss had three each. It was a very difficult moment for the team but we kept the score tied and it was a good result for us at the end of the second quarter. Our third quarter was amazing, it was the key of the game. We got a lead of nearly 20 points and killed the game in the third quarter. We made mistakes at the beginning of the fourth quarter and they came back a bit, but finally we kept a safe lead and are very happy for this first win in this new EuroLeague. We managed to play our defense with a good level of intensity. We played a good first and third quarter, and then the second and fourth quarters invite us to work even harder. That is the main consequence to the game, added to the fact that the team was able to react against the adversity. We were without Latavious Williams, and having Tibor and 'Dubi' with three fouls each with six minutes left in the second quarter happened to be a critical moment. We managed to reach halftime with the game tied, minimizing the damage, to have a great start after halftime and break the game open. We had a good start and it is very important to show a lot of energy in the beginning of the games, especially at home. 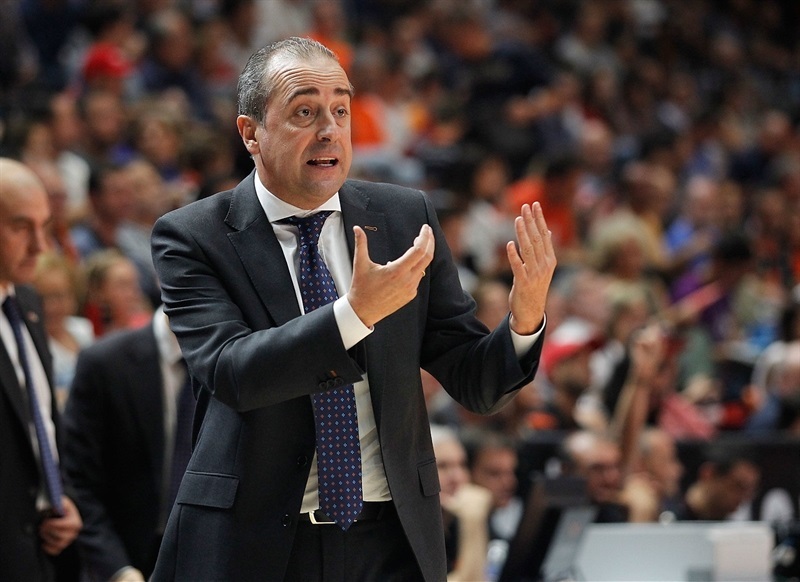 That will mark us as being competitive, the way I wanted, in the EuroLeague and in the Spanish League. We did a great job in the third quarter, with a lot of energy and aggressiveness, very good tactically speaking. Following our defensive rules allowed us to run the floor. On the other hand, we made some mistakes which are reasonable at this time of the season." "Congratulations to Valencia. They played a better game and deserved this victory. I think that the beginning of the first and third quarters decided the game. We had power to come back after a bad start, but after the third quarter, it was impossible. We only have two players from last season and right now, we are far away from where we want to be. 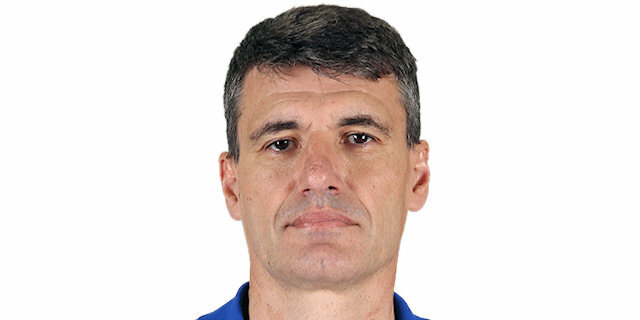 Of course, we have injured players who were not here and will give us a plus, but the EuroLeague is a tough competition in which you pay a high price for every mistake, every slip, every bad day. Valencia makes runs in every game, they are able to go on a 10-0 run quickly, but we allowed bigger runs than that because, in that moment, we were not doing our best on offense, taking bad decisions. We didn't have the defensive support we needed to hold off Valencia's good moment, and they boosted their lead." "I think it was a good game for us. We broke the game in the second half, got a lot of stops on defense, took some steals and made some runs. We made a decisive run in the third quarter and after that, they tried to come back in the game but we controlled it pretty well." 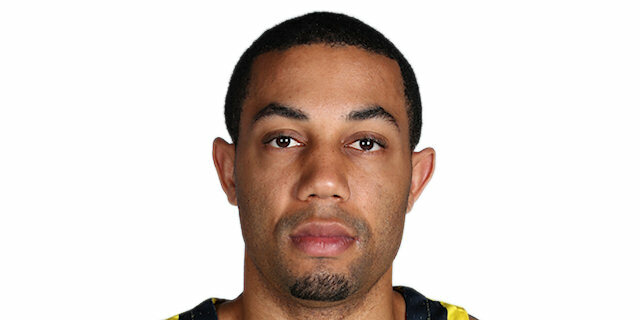 "I think we had pretty good intensity and our defense was pretty good. We went on some runs but they fought to stay in it and made their own little runs to keep close. In the end, we won at home and that is important right now. That is all that matters." "This is a big win for us. This is our first year in the EuroLeague and to get this win and start off at home, in our second game of the season, with a win is good. We came together as a team in the second quarter, rebounded the ball well, played good defense and came out with the win. We want to get everybody involved and this is what we got tonight. Everybody stepped up big tonight and we had a lot of people contributing. Every night, people are getting more comfortable and stepping up big. I think we have a really good team and we are missing two good players. When they come back, we will be even better." "It was a tough game. We knew it was going to be tough playing here, this is last season's Spanish League champion and it is tough to win on the road. We knew they were going to come in runs and we had to try to limit their runs. Unfortunately, in the first and third quarter, we let them go. We had a few bad offenses and they got easy baskets. We were not able to limit their runs. We got back at halftime and tried to get back in the fourth quarter, but those runs killed us. We need to learn from that and move on."